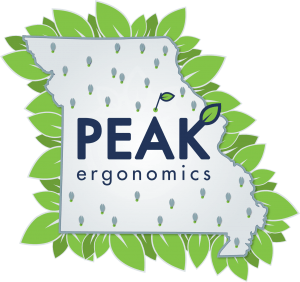 Peak Ergonomics specializes in problem solving for issues of fatigue and discomfort at the workplace with a proven track record of significantly decreasing worker's compensation claims and OSHA recordables. We have helped dozens of businesses develop early intervention programs. We are experts at identifying ergonomic risk factors while offering cost-effective solutions across a broad spectrum of occupations. We teach workers in a dynamic and effective manner how to position their bodies while performing their jobs. Our specialists are skilled and experienced in the area of physical and occupational health and wellness. Need to pitch our services? What if an injury has already occurred? If an employee has suffered a sprain or strain, then we will evaluate them and initiate first aid treatment as per OSHA guidelines: hot/cold therapy, massage, non-rigid supports and review OTC medication guidelines. Won’t offering early intervention to everyone increase the number of personal claims becoming worker’s compensation claims? No. Over 95% of our early intervention cases are successfully resolved and the worker is saved from developing an injury or illness. If a worker fails early intervention and a musculoskeletal disorder develops, then we have detailed notes that will protect the employer from a fraudulent or inappropriate worker’s compensation claim. People are generally more honest and forthcoming when they see us helping them. If someone is sore from weekend recreation, then they usually come and tell us that is why they are sore. If you require people to have a work-related issue to participate with the early intervention program, then people may not be as honest and forthcoming as to the source of their discomfort. Should we only offer early intervention to work related issues? We recommend offering early intervention to all your employees regardless of what is causing the problem. Many times, the cause of the problem may be unclear. It is best practice to offer this program for all employees. What are ergonomic risk factors? Risk of injury depends upon duration, frequency and intensity of exposer. Most injuries are a combination of two or more primary risk factors. noise, long shifts, working too many days in a row, incentive pay, and machine-paced work.